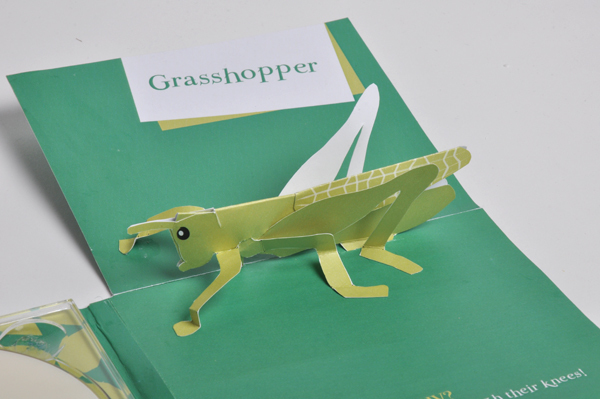 Here’s the grasshopper – the ‘official’ mockup. The subject was about design and production i.e. the methods you would use to mass produce your item (not all were pop-ups) and correct file set up and print separations etc. Also got to use the photography studio at uni which was great although I managed to leave one of my spare camera batteries there and it got packed away with the uni equipment, eventually it shall return to me, thankfully have three of them so should be right.